I was inspired by this Norwegian black and white kitchen which is cool and cozy at the same time. I love the shiny black door against the matte wall finish. What a neat effect. 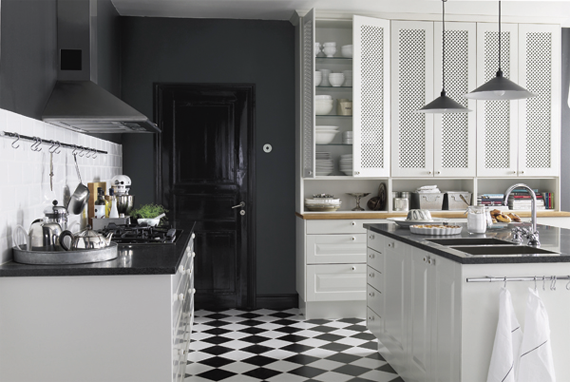 The black and white tiles are a classic for a kitchen or a hallway. Beautiful kitchen.Do post more house tours from Norway. I remember the lady next door to me when I was a child had black and white linoleum tiles which were always beautifully shiny..they were very smart!